Absolutely Fabulous star Helen Lederer, who admits to spending more than £50,000 on fine wine in the last 30 years, has broken her silence over a “secret love affair” – with cheap German wine BLUE NUN. The actress and comedienne, dubbed the ‘funniest woman in England’ by pal Dawn French, is a former wine columnist who has appeared on numerous TV and radio shows on the subject. 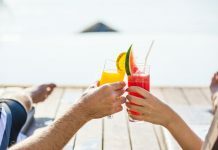 According to a recent blog post, she once spent nearly £1,000 on two bottles of Petrus at a charity event – which she “guzzled in about 10 minutes” with Christopher Biggins. But yesterday Lederer, 60, shared a selfie of her clutching a £4.39 bottle of Blue Nun – the wine of choice for cheesy TV chat show host, Alan Partridge. She then tweeted the picture to her loyal fans with the message: “Finally signed off from my book ‘Losing it’ when this happened – #BlueNun – my 30yr secret love affair”. It is unclear how much of the bottle had been consumed at the time of her tweet. Lederer is a qualified connoisseur who has appeared on countless programmes on the subject including The Wine Programme with Oz Clarke and on BBC Breakfast with Malcolm Gluck. She has also run wine tasting workshops for two national newspapers and for a number of magazines. 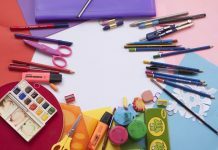 In a recent blog post on her website, Lederer revealed that her “love affair with the wet stuff” has probably cost her upwards of £50,000 since her career took off in late ‘80s. The blog adds: “Feels like I’m juggling a lot at the moment. It’s like buses. But they come in fours. “I did acting with a live rat real job on BBC TV ‘Doctors’ and soon back to Hollyoaks as mad midwife (not the Miranda Hart type though alas). 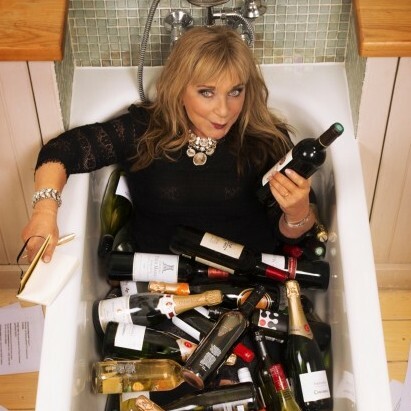 My new novel, ‘Losing it’, will be mentioned in ‘An Audience with Helen Lederer’ theatre tour, and having to go to other people’s book launches (so they come to mine) – all means consuming a lot of wine. Unthinkable without.